Vancouver, British Columbia – January 3, 2017 – A.I.S. 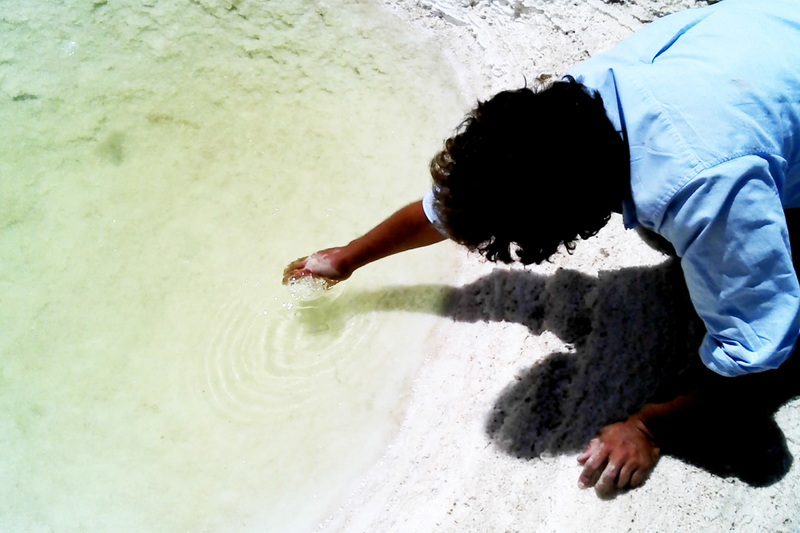 Resources Limited (TSX – NEX: AIS.H) (the “Company” or “AIS”) is pleased to announce that the results of the initial sampling program at Guayatayoc Salar have been received from the University of Salta, Argentina. Professor Dr Ricardo N Alonso supervised the analysis. 11 pits have been dug in the past two weeks in Guayatayoc and sampled under the supervision of Dr Alonso. Another 13 will be completed in January 2017. While the values above are not statistically significant they represent one of the lowest lithium to magnesium ratios in the lithium triangle. This means a lower cost of production. Phil Thomas, COO and Exploration Director and Marc Enright-Morin, CEO accompanied by local geologists visited the Guayatayoc Salar in November 2016 and conducted a sampling program. Two one litre bottles were rinsed out in brine from the sample pit and were immersed by hand to the middle depth of the pit, which was about two metres by two metres wide and two metres in depth with brine depth about one metre. The sample bottles were immersed approximately 0.5 metre and filled and capped with no air in the bottle. The elevation was 3,410 metres. The samples were given to Dr Alonso for analysis at the University of Salta and twin samples were sent to the Australian National Measurement Institute (“NMI”) in Sydney, Australia which is one of the highest rated analysis institutions in the world. It is responsible for Australian measurement standards. The results from University of Salta are outlined below. The results from NMI will be available in late January. 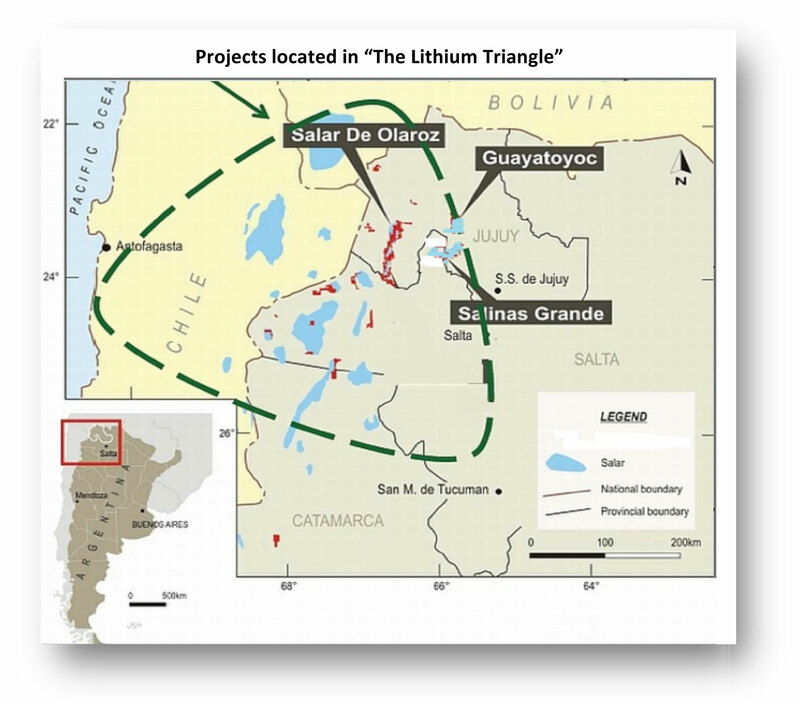 Lithium values are in the range that would be considered exceptionally commercial. Magnesium to lithium ratios of 0.72:1 and 1.44:1are excellent. Most salars are in the range 4:1-13:1. The traditional fractional crystallization technique uses one tonne of sodium sulphate for every tonne of magnesium to remove the magnesium. At prices between $175-$250 per tonne of sodium sulphate Guayatoyoc’s lower magnesium to lithium ratios will minimize processing costs. Sodium values are lower than expected as the most common values in the lithium triangle are much higher. 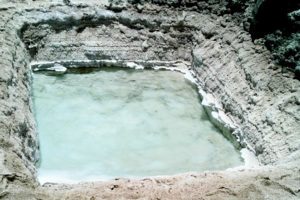 This may be due to the type of salar being a laguna rather than an enhedric closed style salar found in other parts of Argentina. The high boron values are to be expected as ulexite mining has taken place over the past 5 years and a thick layer (6-20cm) of ulexite was sampled in many places on the tenement. There is a strong correlation between high lithium values and high boron values. Orris, G.J., 2011, Deposit model for closed-basin potash-bearing brines: U.S. Geological Survey Open-File Report 2011–1283,11 p.
Potassium and sulphate show excellent values for the production of Potassium Sulphate, a valuable fertilizer (also known as SOP or sulphate of potash).